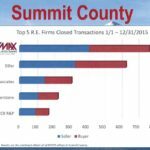 With nearly 750 buyer and seller closings, RE/MAX Properties of the Summit was the leader of the real estate pack, besting its nearest competitor by nearly 150 successful transactions. 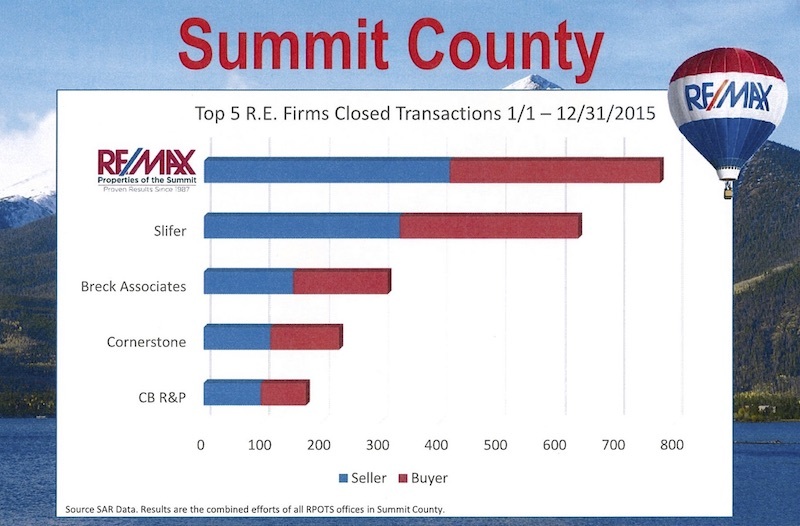 As Summit County’s #1 Real Estate Company we served clients in Breckenridge, Keystone, Copper, Dillon, Frisco and Silverthorne providing the top-tier Service our clients have come to expect from us. 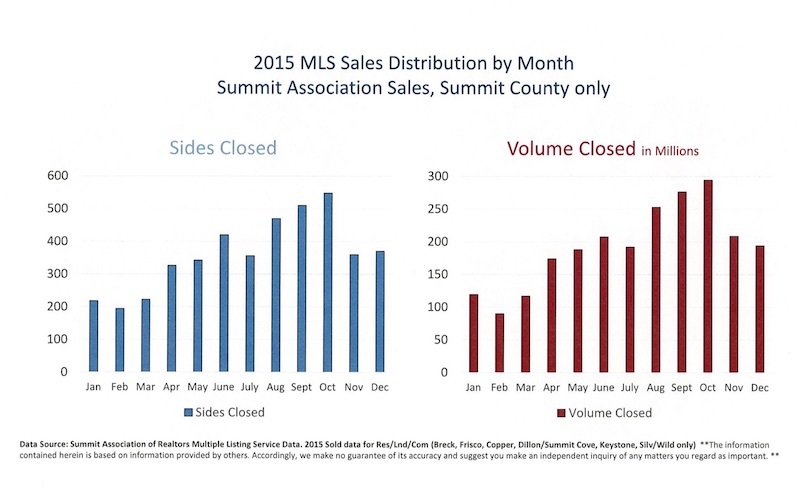 Summit County recorded approximately 550 transactions in October, 2015, totaling almost $300,000,000 in sales volume. September was next with 500 sides closed and $275,000,000 in volume; Close behind was August with 475 completed transactions resulting in $250,000,000 in volume. February was the slowest month; just under 200 closed transactions with $180,000,000 in sales. 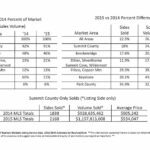 2015 sales volume for Breckenridge was 46% of the total, down slightly from 48% in 2014, but still accounted for the majority of home sales in Summit County. 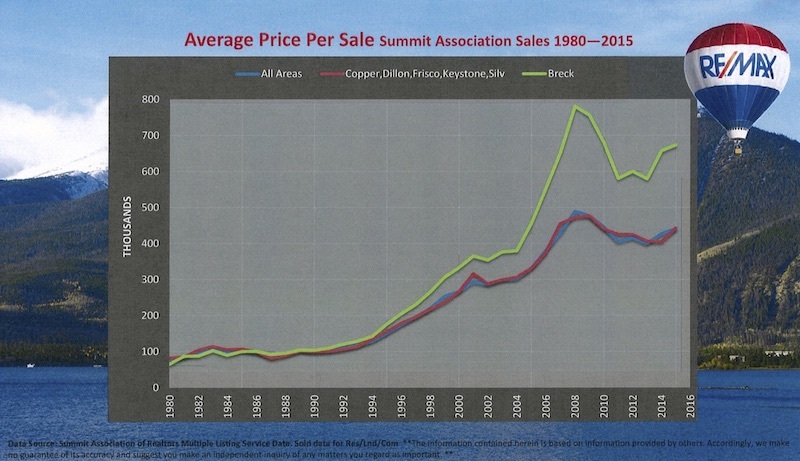 Breck continues to attract buyers from the Denver Metro area as well as throughout the country. 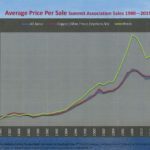 In Breckenridge, the average price per sale was $685,000 just slightly edging out 2014’s price per sale of $675,000. 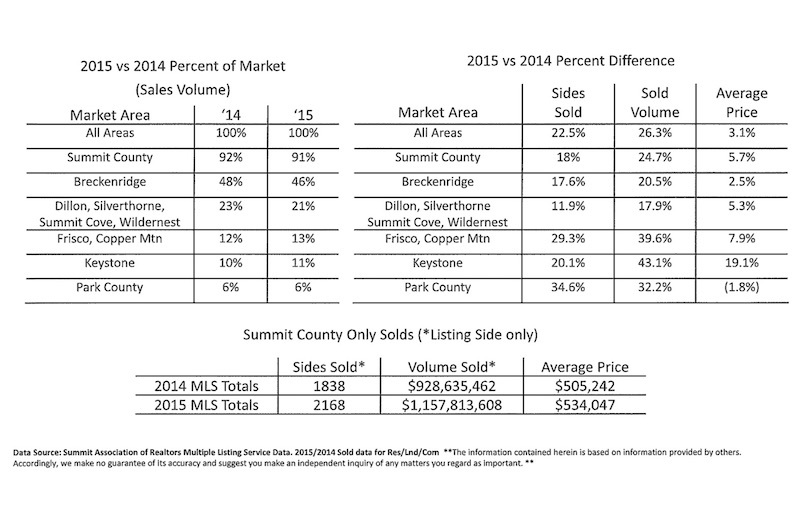 The average price per sale in Summit County was just over $440,000, an increase over the $400,000 reported in 2014. 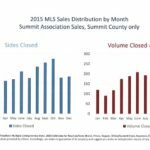 If you are interested in buying or selling a home in Breckenridge, or anywhere in Summit County, please call me at (970) 390-9311 or (970) 453-7000 today.